OnePlus launched its latest OnePlus 6T smartphone back in October and later it launched the device in India last month on November 31st. 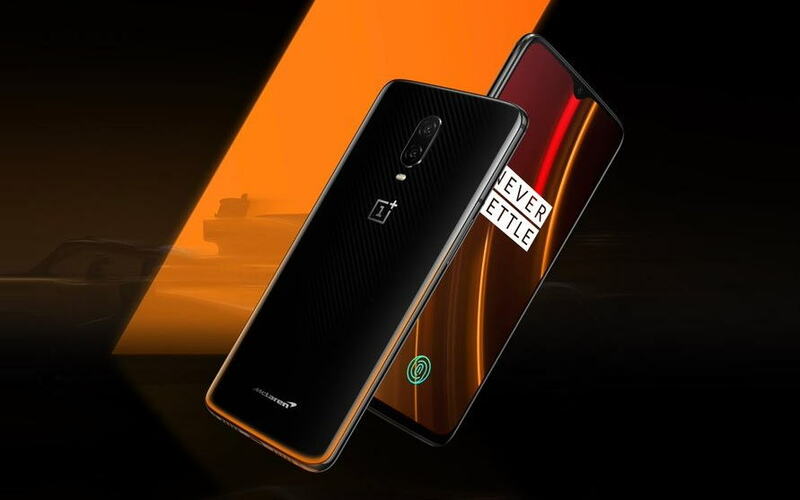 However, the Chinese smartphone manufacturer has now launched OnePlus 6T McLaren Edition in the UK. As always OnePlus this time went with a different approach with its special edition OnePlus device. The new OnePlus 6T McLaren Edition as its main key highlights features the iconic McLaren Papaya Orange color theme on the bottom of the smartphone. The OnePlus 6T McLaren special edition also comes with 10GB of RAM and OnePlus’s 30W “Warp Charge 30” which according to the company claim can charge the phone’s battery from 0 to 50 percent in just 20 minutes. However, all the other specs and features which includes the Snapdragon 845 chipset, 256GB of storage, a 3,700mAh battery, in-display fingerprint sensor, a 16MP+20MP rear camera, and a 16MP selfie cameras remain the same as the regular OnePlus 6T device. The only bump we get in the RAM and internal storage department. The OnePlus McLaren Edition has been priced at GBP 649 (roughly 58,800) and it will be available in Western Europe and North America starting December 13, with availability in India, China, and the Nordic countries soon.